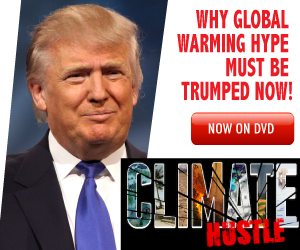 They have focused their recruitment efforts on a small number of climate skeptics with academic credentials, including Judith Curry, a former professor at Georgia Tech’s School of Earth and Atmospheric Sciences; Richard Lindzen, a retired Massachusetts Institute of Technology professor who has called those worried about global warming a “cult”; and John Christy, a professor of atmospheric science at the University of Alabama, Huntsville, and a newly installed member of EPA’s Science Advisory Board. Robinson was among dozens of signatories on a letter to President Trump in September 2017 encouraging him to withdraw from the Iran nuclear deal signed by President Obama. The letter compared the benefits of exiting the Iran deal, which Trump ultimately decided to do, to the president’s withdrawal from the Paris climate agreement. Initial plans for the latest climate review included an effort to involve the National Academies of Sciences, Engineering and Medicine, but that appears to have been scuttled, according to one source involved in the discussions. 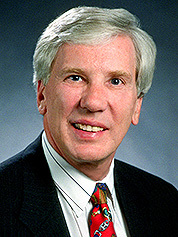 Robinson sits on the executive committee of the governing board for the National Academies. So far, the effort to recruit reviewers does not appear to include the nation’s top climate researchers at NASA or NOAA. The head of each organization told E&E News that they are not involved in the process. Neil Jacobs, the acting NOAA administrator, said the panel should stick to peer-reviewed research. And he defended the National Climate Assessment, one of the overarching pieces of research that would be reviewed by the White House.